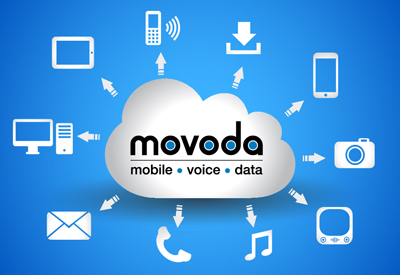 Movoda Telecom has been built on doing things right, on time and at a competitive price to ensure our customers get the experience and service they deserve. Whether your business has 2 users or 250, Movoda always aims to deliver on our promises and more! We feel that in a competitive market such as telecommunications, we need to differentiate ourselves from the competition and this can't be done on price alone. If we don't retain our customers then someone else will, so it really is all about you. With a background of 17 years in the industry, we have seen it evolve into a much more converged office and mobile communications environment. We live in such a technological world inundated with confusing acronyms and technology jargon, so we need to keep it straightforward and simple. Simple advice, simple pricing and simple solutions. Our experience tells us that price is always important but not at the expense of service. By using a consultative approach where we listen to what our customers want, we are then able to marry up these requirements with great solutions, through best of breed suppliers at a competitive price. Our independence and flexibility allows us to react quickly in most scenarios avoiding the red tape of the "industry big boys". We deliver a fully managed service across a suite of telecoms products, all supplied on a single monthly invoice. The telecoms industry has a bad reputation and is renowned for mis-selling and we want to change those perceptions. Through focussing on providing clear and honest advice, in line with fully understanding what you want to achieve as a business, we feel we can deliver this change. We take great care and pride in exploring what you do on a day to day basis and how technology can help you do it better and hopefully cheaper. If you're happy then we're happy and would hope that you would share this with like minded people. We don't cold call, we don't door knock, we build our business on quality referrals from happy customers and suppliers. Why not allow Movoda to conduct a free, no obligation audit on your current telephony billing and see what we unearth? You never know, it may be a very efficient use of your time and open your mind to a new way of managing things. Why not give it a go, what have you got to lose?